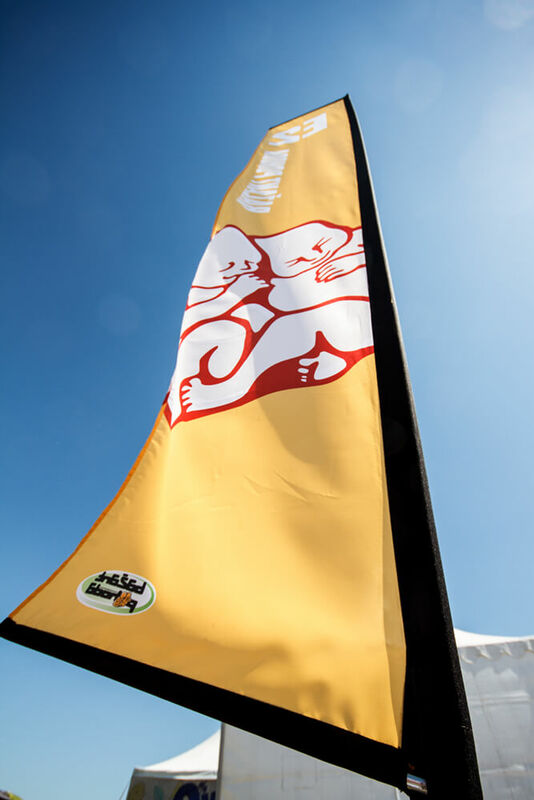 Do not forget to order beachflags to complete your event set. 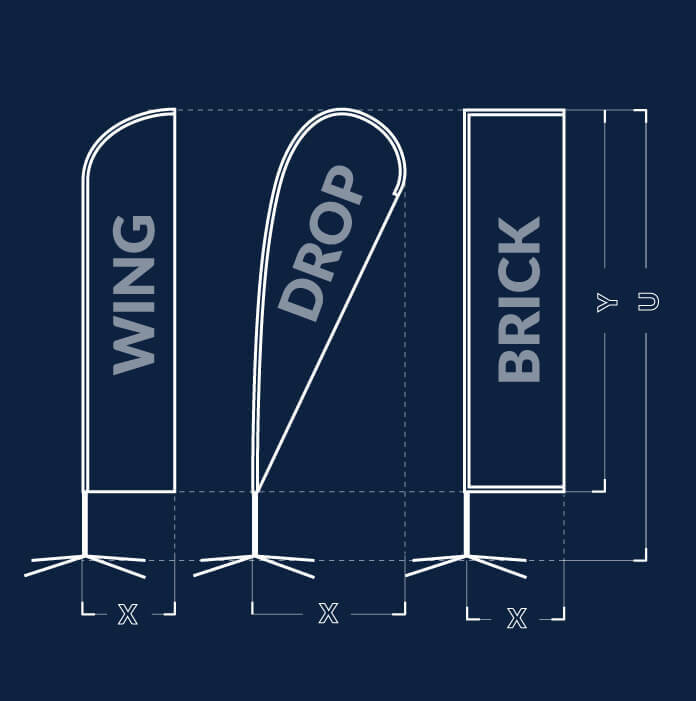 Our beachflags are available in three popular shapes as Wing, Drop or Brick. Each shape has three available sizes. For flags we are using high density FR rated tafetta fabric, which is printed by indirect sublimation method (paper transfer). Therefore our beachflags do not release a waste pigment in a first rain. 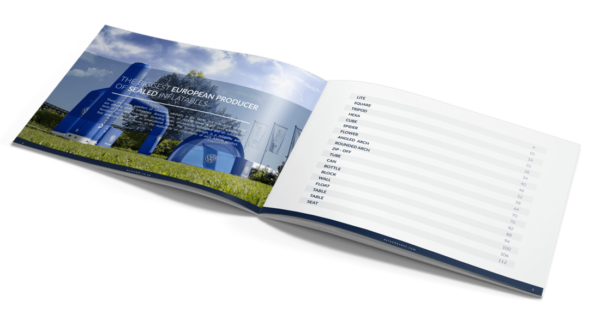 Due to using high quality inks, the printing is shiny and well UV resistant. The fiberglass rods are in the best quality, crack resistant in high or cold temperatures. 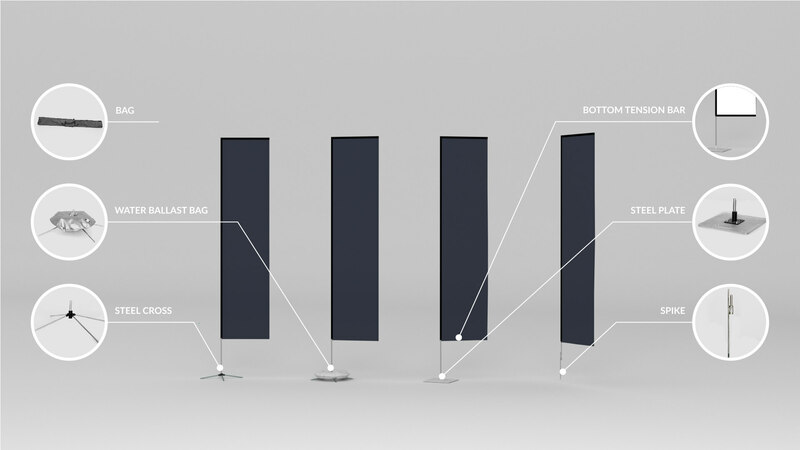 A bottom tension bar is available as a usefull accessory for those, wishing to get perfectly shaped beachflags. Different bottom ends are available for difefrent surfaces. You can choose a spike, steel plate or steel cross with a water balast bag. 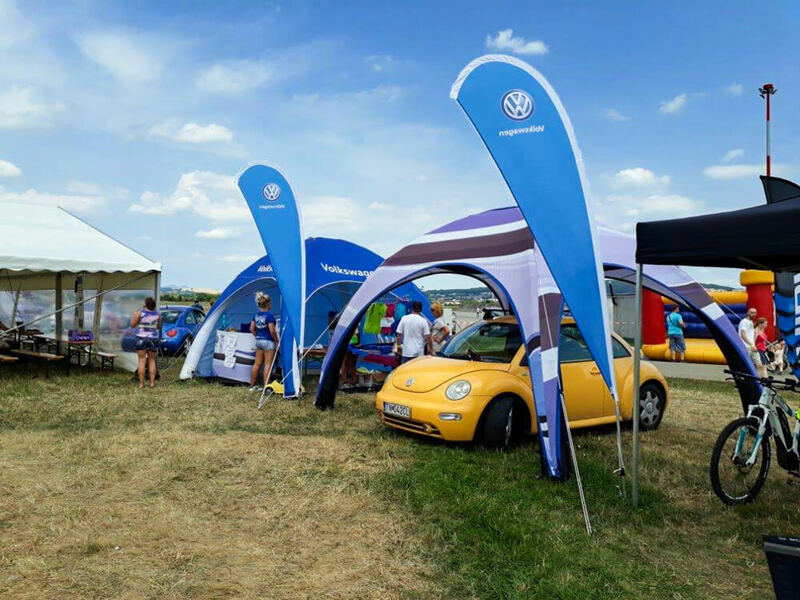 Easy sponsor promotion at sport events. 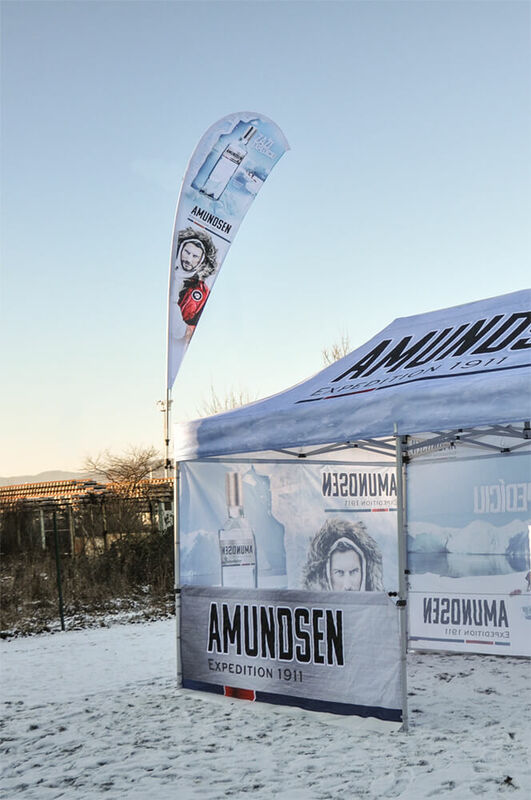 The barrier banner is made of high quality polyester fabric, printed by dye sublimation. The fabric is perforated, allowing wind to go through. Therefore the risk of barrier fall over is significantly minimized. The banner is supplied in 50m rolls, the width is 70cm. 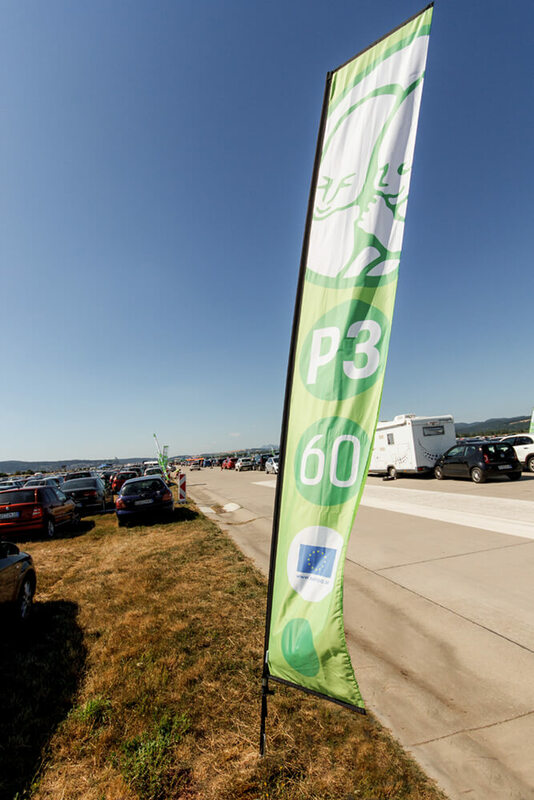 An application of our fence banner is very easy – just fix it through the perforation using the plastic cable ties.